Haverhill High School Summer Band Camp A.D. In 1986 Mike co-founded the Jumpstreet Band with in demand NY session great and longtime guitarist for Carly Simon, Peter Calo. In addition to attending the Berklee College of Music private studies program in Boston, Mike has studied with legendary drummers Alan Dawson, Bob Moses, and Dave Mattacks. 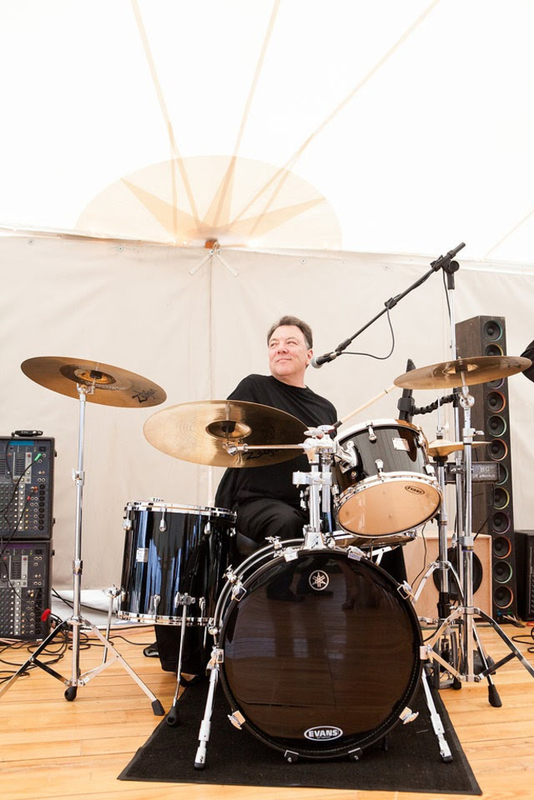 As a freelance artist and band member, he has performed and or recorded with locally and nationally known artists over the years including Chubby Checker, Tony Funches of the The Platters, The Coasters, The Marvelettes, The Chiffons, The Heavy Metal Horns (Extreme’s horn section), Peter Calo, the Drifters, Marty Walsh (Supertramp, John Fogerty, Leann Rimes) , John Troy and John Curtis (Pousette-Dart Band) Brad Delp and Fran Sheehan (Boston). Mike has also appeared with Martha Reeves and the Vandellas, The Fifth Dimension and Boston Music Awards winner Shirley Lewis. If My Heart Was Yours by Peter Calo and Mike Ruggelo featured in the NY City Play “Chris and Adelmo” Also recorded by members of Carley Simon’s band including Jerry Marotta, drummer for Peter Gabriel and is included in Peter Calo’s 2017 CD release, “Time Machine”. All Purposes: Yamaha Maple Absolute Nouveau, Solid Piano Black 5 pc. Beatles, PInk Floyd, Steely Dan, Led Zep, Cat Stevens,Hendrix, Allman's, etc.